$50 off Hosting at Hostican! 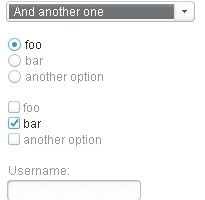 Lets face it creating your own beautiful user friendly forms is hard, but with Niceforms its a hole lot easier. Niceforms is a script that will replace the most commonly used form elements with custom designed ones. You can either use the default theme that is provided or you can develop your own look. Niceforms is incredibly easy to use and will help you create some very nice forms.